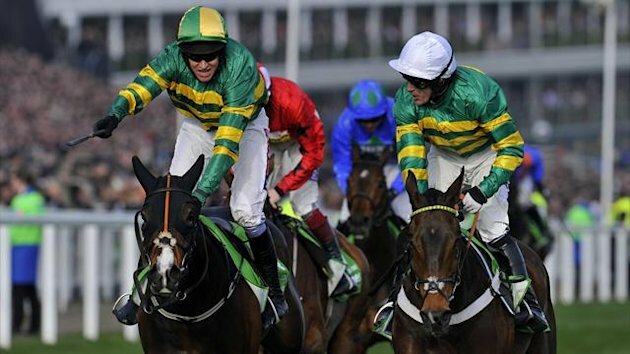 Did the All-Weather warm up cost My Tent Or Yours victory? When you are a kid the comedown from Christmas is tough. When you are an adult the comedown from Cheltenham is unbearable!?! It’s like that scene in Trainspotting when Renton is locked in his bedroom by his parents and forced to go cold turkey. That is exactly how I have felt this week. Except instead of babies crawling along the ceiling I’ve seen horse galloping across it!! NTF subscribers and I had a good festival as well, I hate to think how I would have felt if we had a poor one!?!? I’m over the hard part now though, the dust has settled and I’ve dug deep into my Proform database with a refreshed brain to see what the figures from Cheltenham 2014 tell us. If you want to get sentimental and remember the good times then go look at pictures of yourself as a kid or dig out a picture of one of your old pets, DON’T back a horse because you won money on it in the past or he/she is a favourite of yours! The Cheltenham Festival is a hard enough puzzle to solve without throwing your hard earned cash at a horse because it did you a favour in the past. And yes, that includes BIG BUCKS! The Festival is a hostile environment. Experience can help but younger legs help more! 10yo’s tried to do their bit for the oldies and to be fair including them did improve the older horses win figures a touch but it was only Quevega – who let’s be honest is a law to herself in a weak division – and Balthazar King – who is a dedicated expert in a specialist discipline – who landed a blow for the 10yo age group. They at least get a couple winners on the board but they rip an even bigger hole in your pocket, a hole that your hard earned cash tumbles through with unerring regularity at festival time. Do NOT let sentimentality get the better of you at the Cheltenham Festival; that is an order! There is every chance that Jumpers Bumpers will become a regular part of the winter National Hunt game. There is also every chance that a trainer takes the ‘easy’ option and sends his Cheltenham hope out for an un-competitive spin on the sand. 21 warmed up on the All-Weather – 21 failed to convert in their chosen Festival race. Not a great deal were fancied to be fair and My Tent Or Yours almost landed the Champion Hurdle. The important word there is ‘almost’; he didn’t ‘actually’ manage to land the Champion Hurdle. 72 have needed a spade and bucket for their warm-up assignment and 72 have failed to convert in their chosen Festival race. BEWARE of those runners taking an unconventional final step on the road to Cheltenham! Blindly following runners that had their last start before the Festival at these two Irish tracks has been a rich source of profits. There is a LOT to like about those figures; TAKE NOTICE! Or in other words 59% of Festival races were won by a horse that also won last time out. Sometimes as punters we can be guilty of looking past the obvious, sometimes, however, we do need to factor the obvious into the equation. Last time out winners actually out-performed market expectation at this years Festival. …and that was the frustrating beast known as Ballynagour! The handicapper was clearly a bit miffed with him as well as he thumped him up 15lbs for the win to a career high of OR 155. This is four days where the best of the best lock horns and go hell for leather round the undulations of Prestbury Park. Coming in off the back of a non-completion is NOT an ideal prep. A non-completion is NOT ideal prep for the Festival, hell you might as well of ran on the All-Weather!! …as did 79 of the 92 win and place horses. That is quite a stat; all but one of the 27 Festival winners started in the top four of the betting on their last start. Once again we didn’t really have to dig too far to whittle the fields down in search of the winners. It’s remarkable how easy this game can be at times?!?!? The market was a fantastic guide last time out for Festival success; it is certainly something to keep in mind. Am I beginning to sound like a broken record? Maybe but this is one broken record you would do well to listen to!! …but the ones that did try, failed. Woop Woop! A Winner! But that is still a hell of a lot of German bred and American bred hurdlers to have tried and failed to have won a Festival Hurdle race! Arctic Fire almost broke the hoodoo in the County Hurdle this year, but almost don’t cut it! There is something about the Festival environment and this sub-section of hurdlers that just doesn’t gel. The majority call is to AVOID them! Between them they managed to scrape together two winners. For the two most powerful yards this side of the Irish Sea, however, that just isn’t good enough. Henderson was without the dual power combo of Sprinter Sacre & Simonsig but he would surely have hoped for a couple more in the winners column. Is there something not quite right with his squad? Nicholls is possibly a bit more excusable as his team are going through a bit of a transition period. I guess the worrying aspect for him was that none of his Novice runners really stepped up to the plate. What will he have to go to war with at next season’s Festival? …but then again he is having a bit of a season to forget! Not even a sniff of the places for his 12 runners. He is well below what is normally expected of him with regards to number of winners (only 22 so far this season) and strike-rate (operating at 8%) this season but there have been problems at the yard, with a virus being the biggest issue in the early part of the season. Are the effects of that still lingering on? Will this result in a yard full of well-handicapped horses next season? Assuming everything is back to normal by next autumn (it really should be!) then it would be worth keeping a look out for his runners that took a slide down the handicap when the yard was clearly not at it’s best this season. …and the signs are that he still hasn’t quite mastered Cheltenham. John Ferguson is really starting to make a name for himself in the National Hunt sphere but when it comes to Cheltenham winners it seems he does have a bit still to learn. To my mind he just doesn’t have the horses to be competitive with at the demanding Cheltenham circuit. He has plenty of speedy ex-flat types and not enough robust National Hunt bred types. That may change with time but for now the figures say his runners are just not suited to the track. That is from a group of only 5 that went to post. All holding the generous splashing of stamina needed to take this contest. It begs the question why I jumped on-board the Silviniaco Conti train but hey, I’m human, I make mistakes, I viciously smacked myself round the chops on Friday evening for my stupidity and I’m over it. Thankfully it was the only real glaring error I made all week, double thankfully I’m bloody good at learning from my mistakes! It is hard to believe but Ruby Walsh has not landed a race over the Festival fences in the last FIVE Festivals?!? Woooootttt?!? It’s true. He hasn’t converted at the Cheltenham Festival over fences since the 2009 Festival. This year he had five rides over fences and all were beaten. Champagne Fever was only just beaten on the line…but he WAS beaten. I think the most worrying thing about that set of figures is that he has only managed to get 3 of them home in the places!! So what were your highlights of the 2014 Festival? The great thing about this racing game in the spring-time is that when one Festival door swings shut another is waiting to welcome you with open arms! I’ve already started my preliminary trends research for Aintree (I’ll be doing the Dosage closer to meeting) as I look to add to the Cheltenham profits for NTF subscribers. As always I will be opening up a limited amount of spots for those that want to get in on the unique NTF action for Aintree. If you were part of the team for Cheltenham then you will get first dips on the Aintree slots. I will then open it up to the NTF FREE list. As always there are numerous FREE NTF guides for you to download instantly upon sign-up. With thanks to the excellent Proform Professional database. Interesting the Punchestown/Fairyhouse stat a very nice profit over the last few years,maybe it can be matched with top four in betting LTO to narrow down qualifiers even further. Not too shabby I would say! Hi Ben,thanks for all these great stats and angles.Much food for thought I think.Vautour was the festival highlight for me,chiefly because I backed it weeks ago at 12 to 1,so a profitable festival was virtually assured from that one bet.Mind you I did my best to give it all back on the Friday!Going back to Vautour,i reckon its the best jumper of a hurdle I have seen for many a year and I will not oppose it lightly.Good luck Ben and thanks for all your hard graft on our behalf. Glad you have been enjoying the stats and angles. VAUTOUR was extremely impressive and it will be very interesting to see where they go with him next season. Must be a chance they go chasing with him. Good work on the e/w double Jules, great work. I agree that Irving was extremely disappointing, personally think it was the track he didn’t handle although there was a glimmer of hope in that he finished much better than you would have thought mid-race.